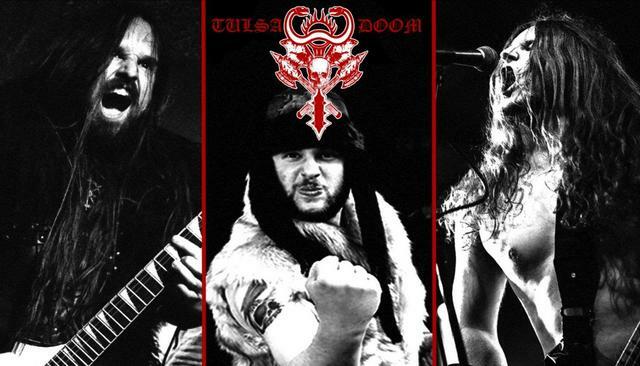 The wild and hard-hitting savage barbaric metal outfit TULSADOOM has signed with Massacre Records! The band's goal is to deliver steel-bending heavy metal hymns molten into a raw blend with the blood-soaked speed of early-day thrash and black metal. Needless to say that they deliver! The band around vocalist/guitarist Lord Penetrator, vocalist/bassist Rick Thunder and drummer Bulldozer Golubev is currently working on new material for their upcoming album Hyborian Fire, that's expected to be released later this year!